Our double rooms are 19-23sqm in size and all have a box spring bed, available as a double or twin room, as well as a desk with seating, shower, toilet, flatscreen, cable TV, minibar, safe, coffee maker, hair dryer and free wifi. 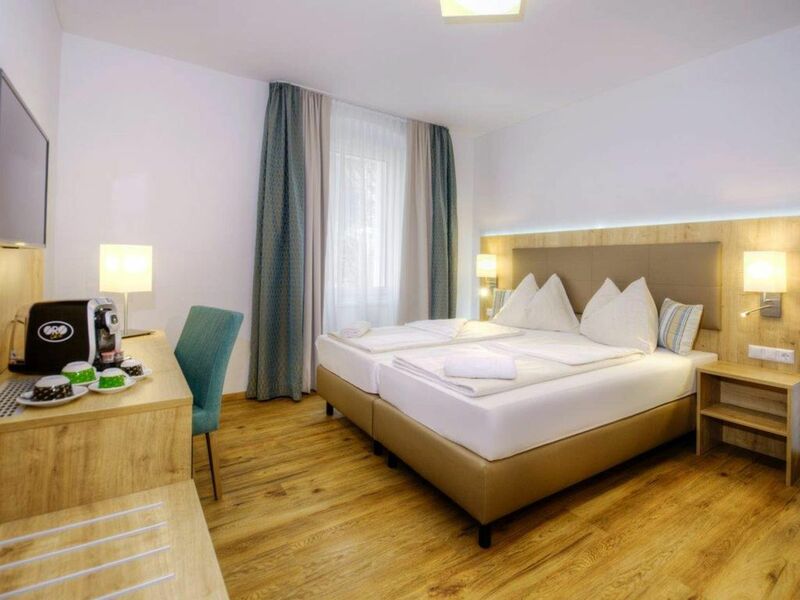 Our Hotel Bergkristall is located in the heart of Mallnitz surrounded by an impressive mountain scenery. The unique atmosphere and the natural tranquility at 1200 m above sea level offer in every season the best conditions for an unforgettable holiday. The hotel is located on a central square which is an optimal starting point in the mountains and at the same time a beloved place of return after the impressions and experiences. Our hotel was completely renovated in 2016 and expanded. In our hotel we offer a bit "MORE": more hospitality, more friendliness, more attention for each individual - combined with perfect service. We have 17 comfortable and lovingly furnished rooms with pleasant colors and fabrics. Reception, hotel bar, lounge and dining room invite you to linger. You will find a pleasant comfort at 4 star level. For our sporty holidaymakers is in the hotel a ski / snowboard room, hiking boots and Radabstellraum. After an active day, you can relax in our spa area, with a Finnish sauna (soft) sauna, 2 infrared loungers and a relaxation room, and let the day pass by.